Franchise merger and acquisition talks always start with the best of intentions. After all, a well-executed franchise system merger can lead to enhanced scale (for increased buying power and leverage over suppliers), reduction of overhead and operating costs (through elimination of duplicate staff, departments, and locations), and increased revenue (through cross-selling of products or services, optimization of distribution channels, and bolstered brand recognition and standing in the eyes of prospective franchisees). The first thing to keep in mind when selecting a trademark is that not all words and names are capable of being protected as trademarks. No one business owner can claim exclusive rights in generic terms and logos, because all business owners need to be able to use these in order to identify their goods or services. Thus, a residential painting franchise likely could not claim exclusive rights in the name “Painting Pros”, because this is simply a generic description of the services that the business offers. This article provides a brief history of some well-known franchisor bankruptcies of recent years -- including Denny's, Bennigan's, Steak &amp; Ale, Original Roadhouse Grill, Cork &amp; Olive, The Ground Round, Church's Chicken, Popeyes, and 7-Eleven -- with a look at the outcomes of these bankruptcies for both the franchisors and their franchisees. In either case, the franchisee’s right to sell the franchise will be governed by the transfer provisions in their franchise agreement. 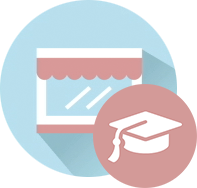 The first qualification considered and investigated is often the prospect's financial situation, so as a franchise applicant you will need to be familiar with the financial jargon that a franchisor may employ in their questionnaire. Jesse: Ladies and gentlemen, thank you for standing by, and welcome to the FranchiseHelp, Inc. Understanding the FDD for Franchisors Conference Call. During the participation, all participants will be in a listen only mode. Afterwards, we will conduct a question and answer session. If you have a question, please press the 1 followed by the 4 on your telephone. Your line will be briefly accessed from the conference to obtain the information. If at any time during the conference you need to reach an operator, please press star zero. As a reminder, this conference is being recorded Wednesday, May 7th, 2008.